According to Facebook, the most popular days to get engaged are over the Christmas and New Year’s holidays, so we know the mad dash of wedding planning is in full swing. And, with winter weather already making many of us long for a getaway, we figure there’s no better time than now to talk about destination weddings. Why are destination weddings popular? It’s a great way to gather your favorite people in a place you already love, or somewhere you’ve been dying to visit. There’s nothing like a wedding to rally the troops and get them to commit to the group vacation you’ve been trying (unsuccessfully) to book for years now. It’s easier to manage the guest list. Only the people who truly care about you will be inclined to spend the time and money to attend your destination wedding. And, if you’re tempted to make yours an adult-only wedding but afraid to offend the cousin who thinks their 5 year old handful is really an angel, then the prospect of travel with that little darling might be enough to put them off. Save time and travel costs when you combine your wedding location and honeymoon. Stay where you already are for post-wedding R & R, and you won’t have to figure out how to pay for a wedding and pay for a honeymoon. And, that means you can skip the hassle of packing and unpacking again. Hotels will often throw in a special suite and other free or discounted perks for the wedding couple when you get married on their grounds. The location sets the tone and backdrop for your whole wedding. Does a laid back, breezy wedding at a resort on the beach speak to you? Are your heart strings pulled by the thought of getting married on a rustic ranch in a mountain meadow? Maybe you prefer the picturesque charm of getting married in an old European church or cobblestone square? No brain drain needed — wherever you choose will provide plenty of inspiration to make your wedding unique and memorable. Want a mountain wedding? Consider late spring/early summer after the slopes are closed but before the full summer biking and hiking season get underway. A beach or lakeside wedding more your style? Think about after Labor Day and the start of school when everyone’s gotten back to work and school but the temperatures are still warm and the skies sunny. Looking for a European wedding? Try April-May and September-October for shoulder season, or less costly yet, plan a winter wedding during the off-peak months of November-March. Do your homework. Research which resorts or hotels will work with you on package pricing for hosting the ceremony, reception, accommodations and any other pre or post wedding functions you want to hold. Negotiate assertively when it comes to group room rates, especially if your wedding will be during non-peak times. Ask whether discounts are available for using preferred and in-house caterers or florists. Always ask the establishment or wedding planner whether there are other cost-saving strategies and choices you should be aware of. Keep ease of travel in mind. Thinking about a domestic destination? If you want it to be affordable and easy for your wedding guests (and you!) then choose a place that can easily be driven to. Looking to get married at a locale further away? Choosing a spot that has a major airport nearby often means you’ll find lower airfares, car rental prices and hotel costs, not to mention better flight schedules. On the other hand — if you’re looking for a way to graciously manage your number of wedding guests, choosing a place that takes a little more effort and cost to get to can help minimize the number of guests who attend. Let the location be the star (in addition to you, that is). 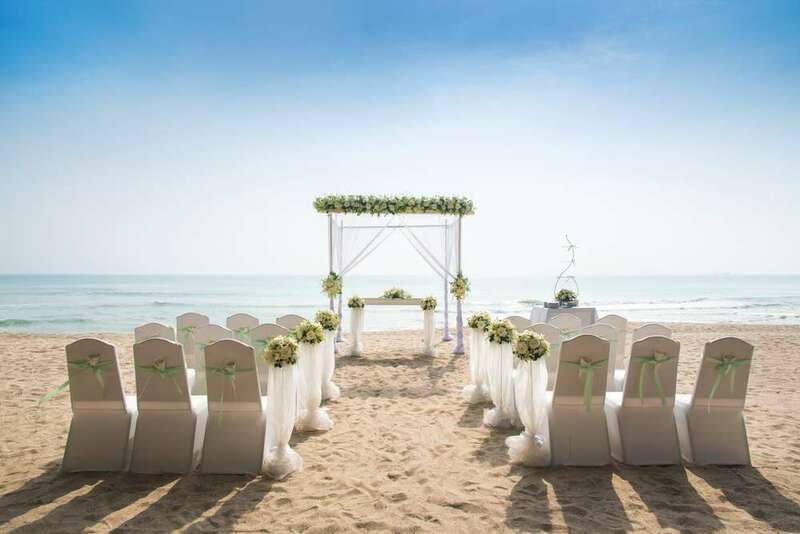 Whether you’ve chosen the beach, a mountain top, a forest meadow or a grand old cathedral for your wedding, the location will be so special and picture-worthy that you won’t need to do much when it comes to flowers and décor. Keep things simple and elegant to highlight the unique beauty of the place you’ve traveled to, and save money. 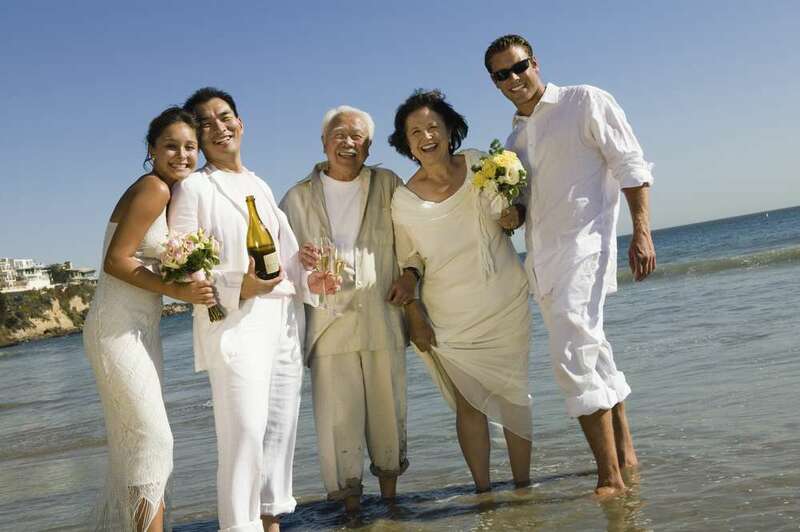 Are you sold on the benefits of a destination wedding, but wondering how to afford it? A LendingPoint wedding loan can help you pay for the wedding and honeymoon you’ve always dreamed of. Instead of dealing with multiple credit card bills you’ll have only one, consistent monthly payment designed to fit within your budget. And, an installment loan can also help to strengthen your credit score. See how LendingPoint can add to your happily ever after by applying for a wedding loan in minutes.